Nimap offers you to hire iOS developers of best quality skills on the contract (time/project) basis with a new innovative forward vision, mission, plans, and objectives to provide your application software new stability and intuitive operation to give unbeatable growth to your business. Continuous development of newer versions has allowed iOS to set a whole new brand name carrying only advance featured applications. Nimap will help you find developers to create unique and elegant business ideas. We at Nimap Infotech provides you with the best customer-centric mobile services to maintain and qualify your applications. It will help you bring enhanced growth with succesfull productive solutions. We create bug-free mobile applications to provide you with great quality assurance from threats and alerts. We try and test every developed application before you introduce it into the market. Nimap provides trained iPhone app developers to provide you with the best media applications. This feature of iPhone helps you in setting a whole new higher level of a musical theme for your iPhone. Nimap developers design different iPad applications running specifically for your iPad as per your business requirements. It will help you customize and enhance your business productivity. Hire well-trained iOS app developers from Nimap to design an innovative online application that smoothens and grows your online booking strategy in easy go. Benefits/Perks Of Working With Nimap. Feel free to choose any member from our iOS application development team to design your iOS applications. To Hire iOS developers from Nimap help to add convergence of efficiency, functionality. Responsive UI/UX, app performance optimization and sheer excellence to your iOS applications. Also you can hire our developers at your workplace on timely basis according to your business requirements. Firstly,If you’re assured of your project and wants specific implementation go for our fixed Price Work. Secondly,Nimap developers will assist you on specific domain. Moreover,We are versatile enough to settle the way of working and payment methods, we can divide it on monthly basis instead of doing all payment at the single go. We train our developers skillfully in order to demonstrate outstanding result We share experienced iOS developers to work for your firm who has been rated 4.5 / 5.0 by 150 Clients. Why Hire Dedicated iOS Developers from Nimap Infotech? CloudKit is an incorporated macOS and iOS API that capacities as a backend as an administration. CloudKit is the system that powers iCloud on iOS, macOS and on the web. WebKit is a program motor utilized in Apple's Safari program and different items. WebKit is additionally the reason for the exploratory program included with the Amazon Kindle digital book peruser, and for the default program in Apple iOS, BlackBerry Browser in OS 6 or more, and Tizen portable working frameworks. Cocoa Touch is a UI system for building programming projects to keep running on iOS for the iPhone, iPod Touch, and iPad, watchOS for the Apple Watch, and tvOS for the fourth-age Apple TV, from Apple Inc. Cocoa Touch gives a deliberation layer of iOS, the working framework for the iPhone, iPod Touch, and iPad. 1. What are step to hire iOS developer? 2. Why Hire iOS developer? Moreover, we provide trained and experienced dedicated developer for hire with a reasonable pricing model. We are well efficient in developing apps in native environment. Mainly Client can get daily performance report of an developer on weekly/monthly or quarterly basis. We track our developer performances on regular basis. Besides, Nimap appoint dedicated project manager to monitor developers and to be a point of contact for any requirements. Yes.  Moreover, In Nimap we also provide Marketing service as per requirement such as SEO, Social media Marketing, Adwords, PPC campaign, Lead generation campaigns, media buying and planning etc.